Do we need to tell you how great this is going to be? Dennis Ferrer has been nominated for a Grammy. record. Then he called me saying he was serious and my jaw dropped." 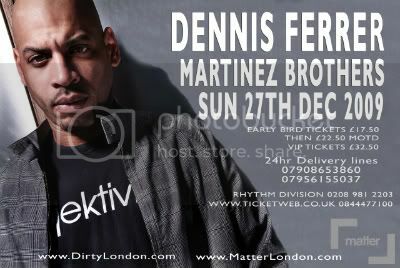 D&B at Proud2, London (fka Matter) | HEAVY Line-up!